Linda Bailey is a reader, traveller, daydreamer, and the award-winning author of more than two dozen books for children. Born in Winnipeg, she has travelled around the world by ship, working in England and Australia. She earned a B.A. and M.Ed. at the University of British Columbia and later worked as a travel agent, college teacher, instructional designer and editor. Linda didn’t begin to write in earnest until she had two daughters, Lia and Tess, and published her first book in 1992. She has since written more than twenty others, including novels, picture books, graphic novels, and non-fiction. 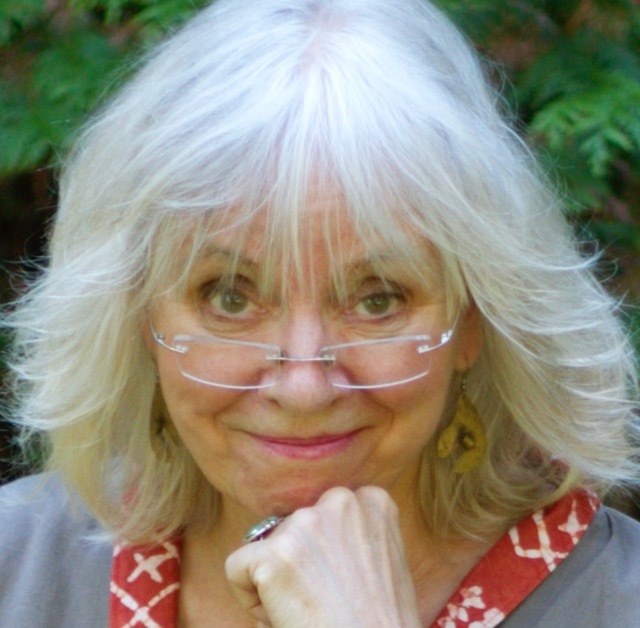 Her books have travelled as widely as she has and have been published in places such as Greece, Latvia, Korea, China, Australia, Denmark, U.K., France, and Poland. Linda now lives in Vancouver within strolling distance of the sea. She is a full-time writer and still loves to read, travel, and daydream. I had the pleasure of speaking to Linda over email. On your website you describe how life as a writer snuck up on you. Can you tell us what steps you took once you finally decided to publish your first book, How Come the Best Clues Are Always in the Garage? Actually, it wasn’t my first book. At the time I finished that first novel, I had already been writing and submitting for five or six years — all picture books. I had gotten encouraging nibbles from publishers, but no bites. I had also learned a few things, including the fact that it’s extremely hard to break in with a picture book manuscript. Why? Because the slush pile is ceiling-high! Publishers receive a deluge of picture book manuscripts from people (including movie stars) who have never, and will never, do any serious writing but who read a picture book one day and think, “Is that all? Jeez! Short, easy. Even I could do that!” Two days later, they fire off a manuscript. When I figured that out, I decided to try a different genre. Since then, you’ve published nearly 30 books in the last 25 years. What habits make you such a prolific writer? It’s pretty straightforward. I see myself as a working writer. Writing is my passion, yes, but it’s also my job. So I do my job, like anyone else, Monday to Friday 9 to 5 — not necessarily all day, but definitely most of the day. And note please that it’s not all Writing. The longer you do this, the more the Other Stuff grows — things like correspondence, finances, contracts, promotion, travel, conferences, associations, school/library visits, website, social media, etc. The Other Stuff can gobble up your life. But that all comes under the heading of “maintenance.” It’s important, sure. But it’s not Writing. For me, the joyful time continues to be the hours I carve out for writing a brand new, full-of-possibility first exciting draft of a story. That is when I’m happiest. What changes, if any, have you seen in the Canadian publishing industry for children’s literature since you started in the early 1990’s? One big change is that the market for Canadian children’s books has expanded. In the early 90s, Canadian kids’ books sold mostly within Canada. The Canadian school/library market was huge and critical. Since NAFTA, Canadian publishers tend to publish for both the Canadian and the American market and (hopefully) with a view to global sales as well. Another change that is more prevalent in the U.S. but still affects us here is the trend towards what I have heard called “minnows and whales.” In other words, the vast majority of books sold are a few huge best-sellers (the “whales”), while the rest of the sales pie is carved up among a very large number of modest-selling books (the “minnows”). In the 1990s, it wasn’t that extreme. There was more room for mid-list books and mid-list authors. Your books are renowned for being hilarious, fun, and great to read aloud. In your opinion, what aspects of writing are the most important to achieve this style: the characters, the situation, the humour, or something else entirely? Well, humour is, pardon the pun, a funny thing. Tough to pin down. I think that in order to write “funny,” you have to actually see the world that way. You have to look around yourself and see absurdity. You have to have a mind that leans naturally towards hyperbole and goofiness, even in telling everyday anecdotes about your life, and it works best if when you tell those funny anecdotes, you laugh most of all at yourself. I think a “humorous viewpoint” is hard to learn or acquire, so I feel lucky to have grown up in a family where everyone tried to outdo everyone else around the dinner table in telling the next funny story. I also think that you have to be laughing yourself — literally giggling out loud — as you key the words into your laptop. If the author isn’t laughing, the reader won’t laugh either. Much of your work seems to be inspired by some aspect of your life: Stanley’s series was inspired by your dog Sophie, Stevie Diamond from your love of mystery novels, and the Good Times Travel Agency adventures from a desire to make history exciting for your own children. Do you always delve into your life experiences when thinking of your next project or do your own passions naturally find their way into your written work? I don’t really have to “delve” into my life experiences for ideas, I seem to get enough spontaneous prompts for stories (mostly, yes, from things I have experienced/seen/heard/read) that I don’t have to deliberately dig for, or think up, ideas. Story thoughts (“What if . . . ?”) pop up when I’m not looking — in the car, out for a walk, etc. I write them down and collect them. I have a file full of half-baked story ideas in my computer, and when I’m ready to start something new, I just browse through. On the subject of my life experience, I actually use very little of it directly in my writing. I’m one of the least autobiographical writers I know and use my own experiences only as an initial “spark.” Once spark triggers a story, I tend to travel a long way from reality — which is a very good thing because Linda Bailey’s life is seriously boring, and not at all the stuff of good fiction. Your latest novel—Seven Dead Pirates—is your first novel in 13 years. What inspired you to return to an older audience after spending so many years writing picture books? What challenges did you face in this transition to writing for an older age group? Do you plan on writing more novels in the future or returning to picture books? If you don’t mind sharing with our readers, what is your next project? I plan to do both novels and picture books. In fact, I have already been doing both, and one book in each genre will be published in spring 2017. My new picture book (about a dog) is called Carson Crosses Canada, and my new novel (about a bug) is called The Tiny Hero of Ferny Creek Library. What advice can you give to any adult writers who want to write for children? Elizabeth Leung is an aspiring children’s and young adult novelist with a love for fantasy and speculative fiction. Unable to choose between her love for reading and writing, she is currently finishing her double major in English Honours and Creative Writing at the University of British Columbia.